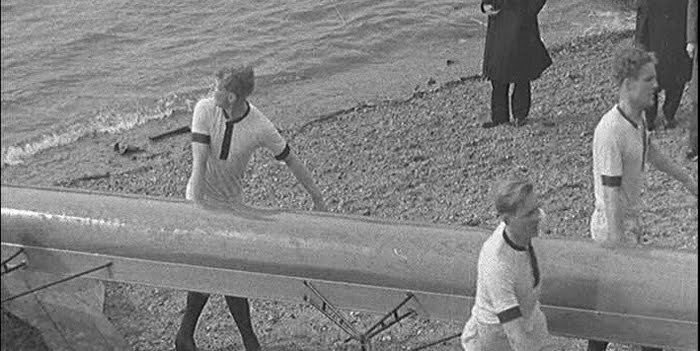 Dark Blue oarsman, David Winser, prize-winning poet and a great sportsman, is seen in the above photograph at the bottom right carrying Oxford’s eight after the crew’s victory in 1937. 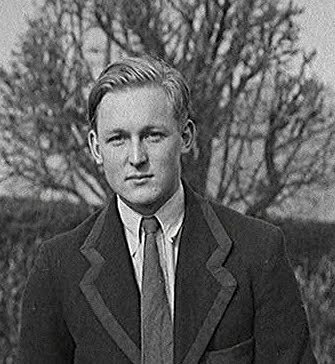 Although, we have had two entries on HTBS about the 1936 Oxford crew, Jock Lewes: Famous Oxford Blue & SAS Soldier and Con Cherry: ‘Mayor Of Leander’, I believe we are not quite ready to leave this crew with its war heroes. As a matter of fact, a third member of the crew was also killed during the war, the ‘fair-haired, blue-eyed’ stroke, David Winser, or as his full name was, David Michael de Reuda Winser. David was born in Plymouth, Devon, in 1915. He was educated at Winchester College where David proved to be a good marksman and oarsman, and while he studied at Winchester he was also awarded the prestige King’s Gold Medal for English verse, today called the Queen’s Gold Medal for Poetry. David earned a scholarship to Corpus Christi College, Oxford, where he rowed in the Blue boat in 1935, 1936, and 1937; the later year, the Dark Blues won. At Oxford, David continued to write poetry and in 1936, he won the Newdigate Prize for his “Rain”. After Oxford, he was awarded a Commonwealth Scholarship to study medicine at Yale University (I have not found out if he rowed there!). 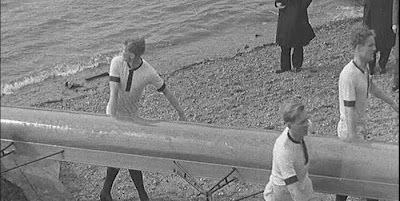 In the following news reel, the last minutes of the film (starting at 3:04.76) shows the 1937 Boat Race, which Oxford won with three boat lengths. David is rowing in the 2nd seat. What might be less know about David, at least today, is that he was not only a prize-winning poet, he was also an author of fiction. In 1937, he published the novel A Gay Goodnight and two years later Time to Kill (1939). Under the pen-name John Stuart Arey, he later published three more novels: Night Work (1942: Am. title Night Duty, 1943), There was no Yesterday (1943; Am. 1944), and Students at Queen’s (1944). Most interesting for us is, however, a short story published in 1940, “The Boat Race Murder”. I do not know where it was published the first time, but it appears in an anthology of mystery stories, Murder on Deck, published by Oxford University Press in 1998. The anthologist is Rosemary Herbert, who wrote an introduction to David’s story, and which is the base for much of the above text about the Dark Blue oarsman, poet, novelist, and Army Officer - David Michael de Reuda Winser. They don't make them like that anymore! You can read his short story “The Boat Race Murder” here. Alan Campbell: "I Do An Hour Of Sawing..."
Caught At The Golden Oars Awards Dinner? Henley Royal Regatta Starts Today! 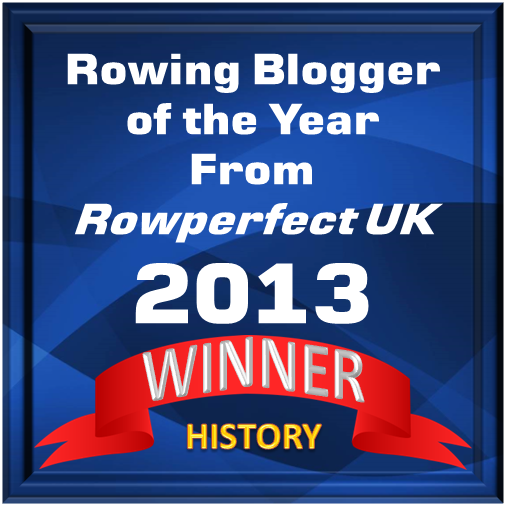 HTBS - The 2013 Rowing History Blog of the Year! Ran Laurie – The Man with the Narrow Blade? 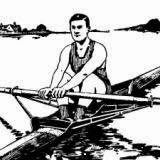 Next Rowing History Forum On 10 March, 2012!